Camphor Wood and Fragrant Tea Leaves Smoked Duck - I remember ordering this dish the last time I was here and was very much unimpressed by it. This time was no exception. The duck, though crispy, was way too dry and didn't have any tea taste whatsoever. The meat this time round was a little too overcooked as well, unlike the previous visit where the meat still retained a reddish hue. 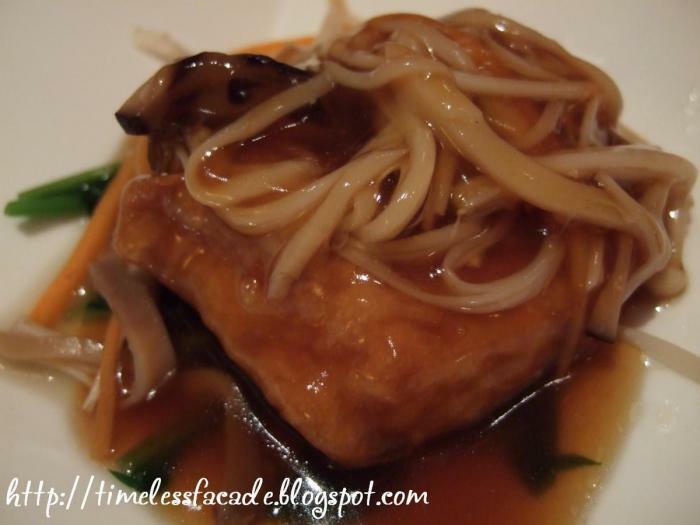 Cod Fish Steamed with Superior Soy Sauce - The fish was fresh and sweet but a little too soft. I would have personally preferred the meat to be a little firmer. Another thing which I didn't really like was the fact that the fish came with its skin attached. I know that most fishes are served with their skin intact but this is probably the only place I know of that does it with cod fish. 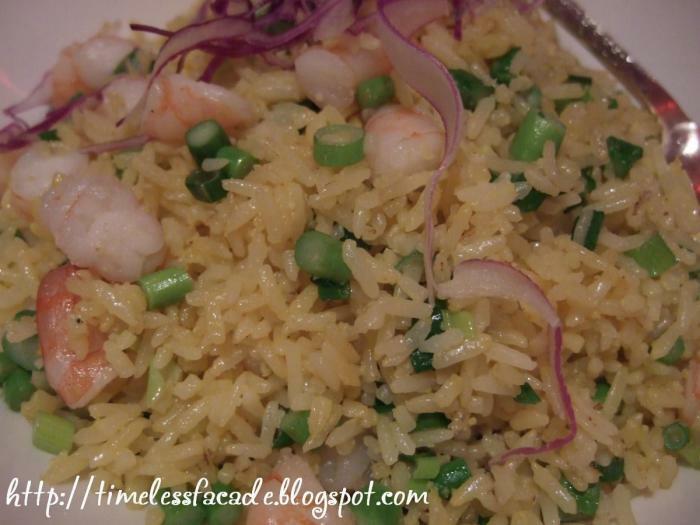 Szechuan Fried Rice with Shrimp - A most excellent fried rice and definitely the highlight of the evening. Each grain of rice was homogeneously coated with egg and fried till lightly charred, giving rise to a nice and even Wok Hei taste. Thought slightly drier than your normal fried rice, it was a pleasure to eat and didn't come across as too difficult to swallow, especially with the generous serving of prawn cubes. 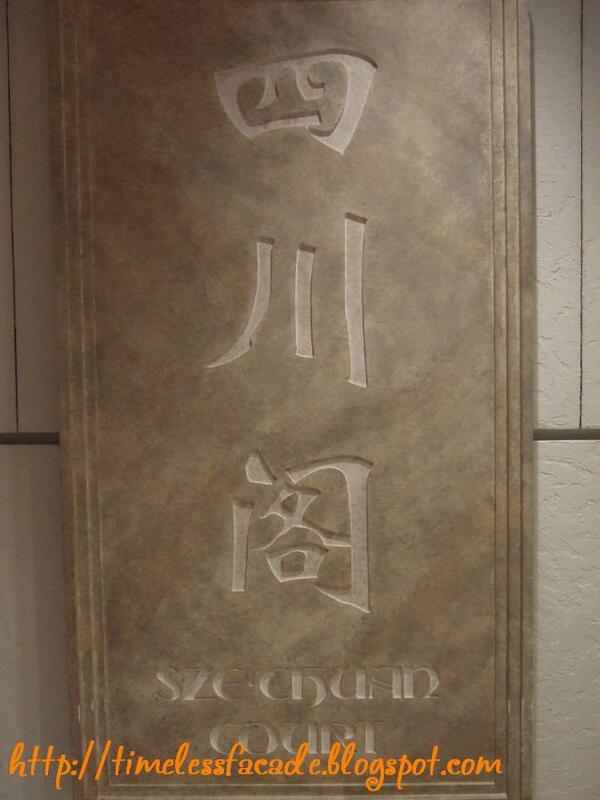 Shopping around Raffles City with an empty stomach, I decided to go to this Szechuan Court to try out their food. Nice deco and seem like a expensive resturant from a far. Well, the price is still managable. Lemon Prawn - Definitely the best dish I had that night. The prawns were succulent and moist. The lemon sauce was tangy and bring out that ocean flavour from the prawn. $15. 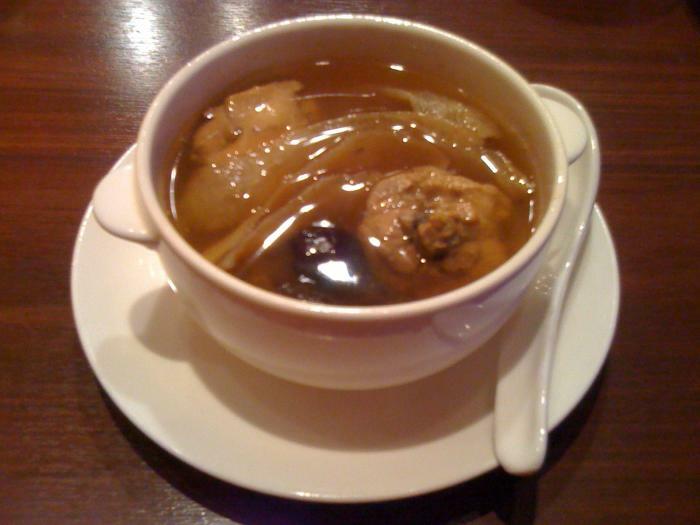 chicken Herbal soup - Good soup made the traditional way. The chicken meat is tender and when you eat it and the soup is tasty with all those herbal aroma swirling around. $10. 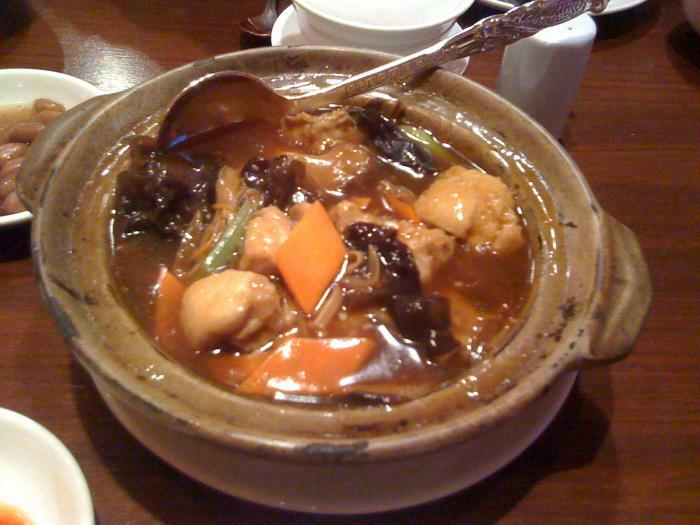 Claypot chicken - Tender chicken bits stewed with black fungus and mushrooms. Juicy mushrooms threaten to spill the sauce with every bite. It goes best with a bowl of rice. $22. Pig trotter dumpling - Only available during this peroid for the dumpling festival. you will find scallops, mushrooms, shrimps, salted egg yolk and a whole trotter in this dumpling. $48. Prok rib with spicy mango sauce - worst dish that night. althought the sauce was good enough, the over cooked meat spoilt the dish. The meat was not juicy and it was kinda hard when you bit into it. also, the meat tend to stuck between your teeth, a sign of over cooked... HARD meat. $15. Well, overall, I had a good dinning experience with the service, Definitely worth returning.